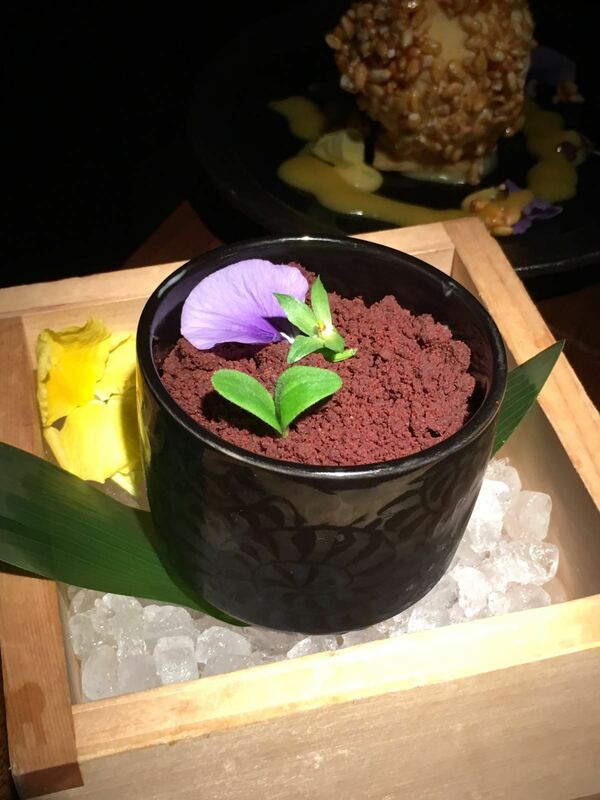 I first tried Koji Japanese Restaurant in Parsons Green last year, not long after it first opened and had a fabulous dining experience. 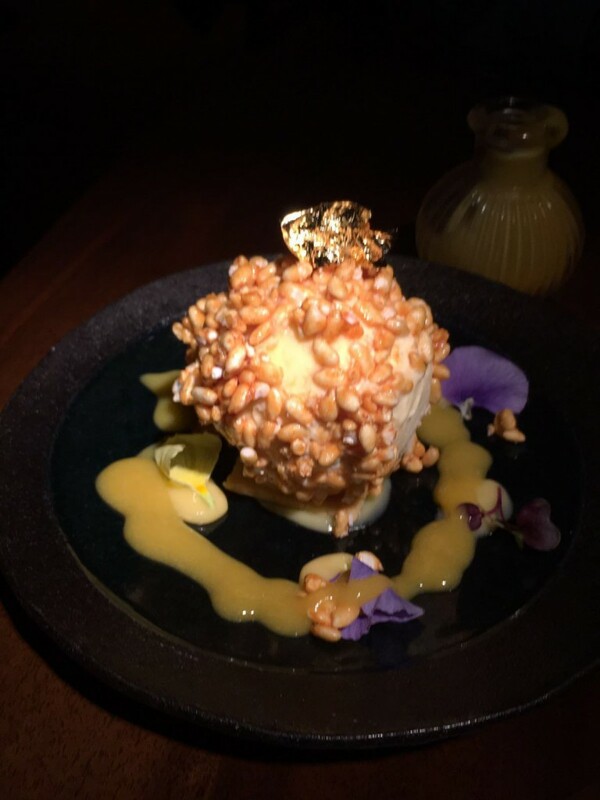 Koji was a collaborative effort between Nobuhisha Takahashi, the former sushi head chef at both Nobu London and Nobu Cape Town, and Mark Barnett, the former proprietor of the now closed Mao Tai Chinese restaurant. In January 2015 Rolando Ongcoy joined the ranks, replacing Nobuhisha Takahashi, and took the food at Koji up another notch. A Japanese chef for some 33 years, he began his career in the Philippines before coming to London. In recent years he has also been the head sushi chef with both the Nobu group and Uni in Pimlico. The ethos at Koji is to provide diners with first class Japanese food in a highly elegant setting, but without any pretentiousness. 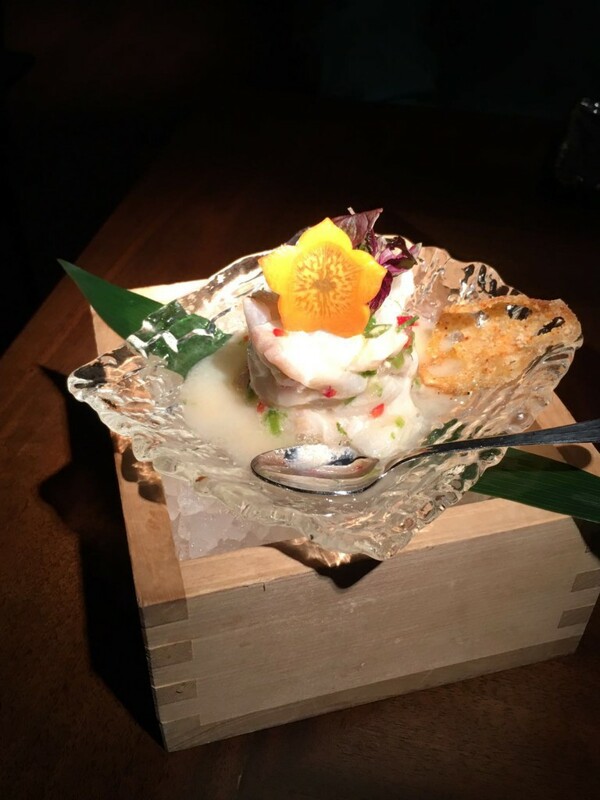 The Koji menu centres around contemporary Japanese cooking, ranging from fresh sushi and sashimi, to meat and seafood on the robata grill, to a variety of modern Japanese dishes that draw upon European and South American influences. Second time round, and I found Koji to be that much better than first time round – no mean feat considering that the benchmark standard had been set pretty high during my first visit. At Koji, only the finest ingredients are used. This coupled with the finest of techniques makes for splendid dining experience. 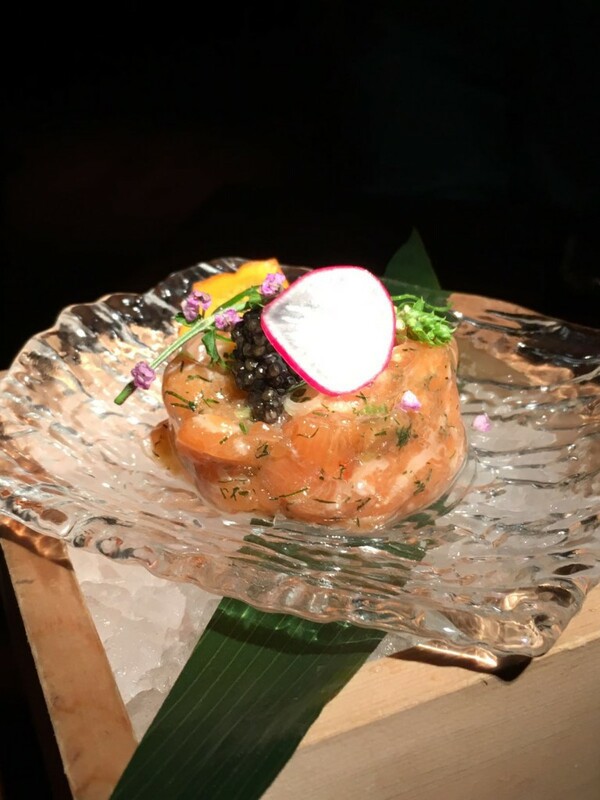 We shared a variety of dishes as is customary with Japanese food, and one of my favourites of the evening was the salmon tartare with caviar umami jelly (£19). This dish was divine. The salmon itself was fresh and flavoursome, but it was the umami jelly – a thin layer of jelly placed over the salmon – which electrified the tartare. The umami jelly was abundant with flavour and it paired perfectly with salmon. Also fabulous was the turbot ceviche (£19). Turbot in ceviche might be an acquired taste for some as it is quite a meaty fish, but we loved the flavour and texture of this silky fish. The turbot had been beautifully marinated in lime, yuzu, mirin, ginger, chilli sauce, celery and chopped shallots which added a lovely vibrancy to the fish. 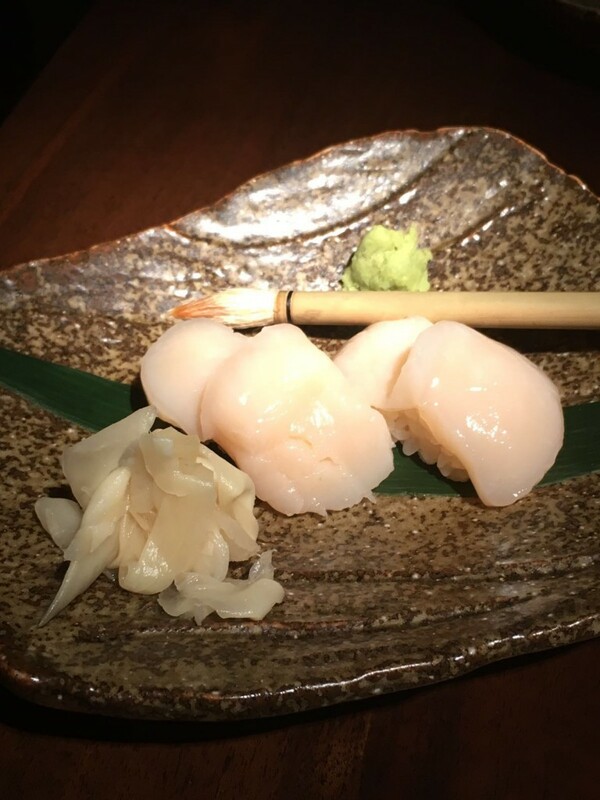 Scallop nigiri (£11) was a dream. The scallops were heavenly on the palate, offering up a soft, yet firm texture, and the perfect taste of the best of fresh scallops. 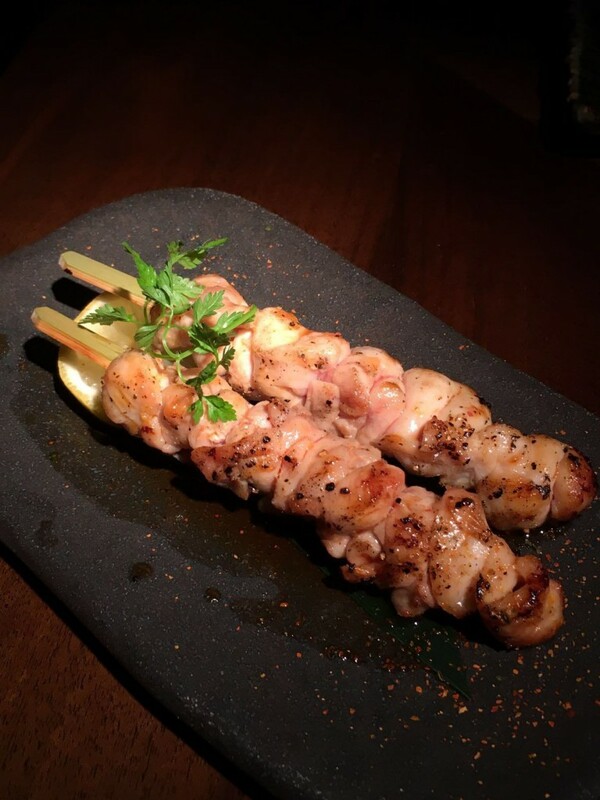 We were highly impressed by how perfectly cooked the rabbit kushiyaki togarashi yakitori (£14) was, which was moist and juicy with a lovely warm caramelisation to the flesh from having been on the robata grill. The rabbit had been marinated in soya and teriyaki, and the finishing dusting of togarashi (powdered dried Japanese chilli) gave the rabbit a lovely, lively kick. 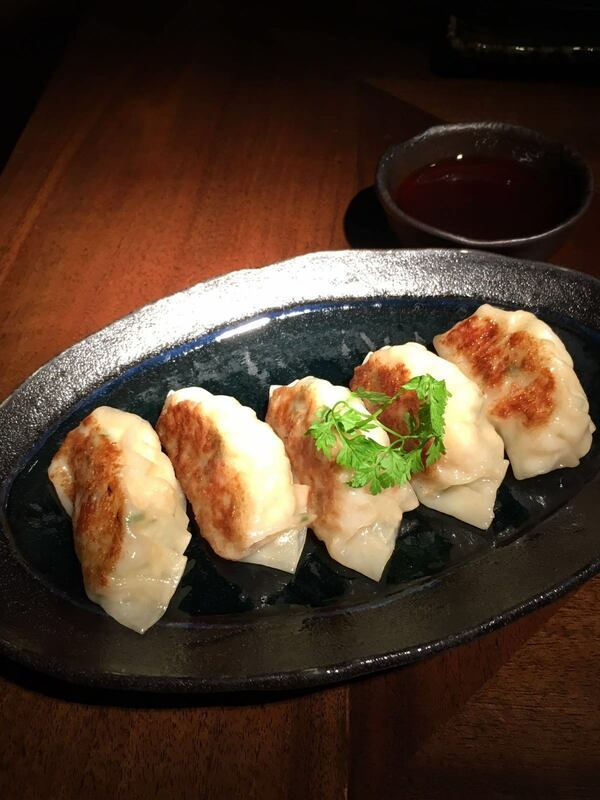 Wild pink prawn gyoza (£9.50) came out piping hot and was filled with a juicy moreish filling. My friend ‘T’ particularly enjoyed the gyozas as they showed off how much care had gone into their cooking. 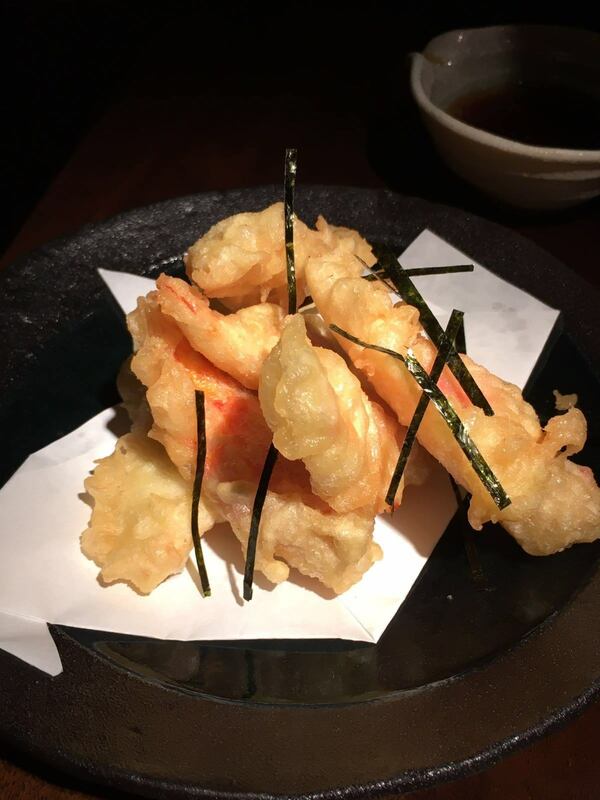 A dish of Alaskan king crab tempura (£32) was fresh with a lovely sweet flavour. Wonderfully fleshly, the meatiness of the crab provided something decadent to sink your teeth into. The batter was light and crispy, but it was not the classic Japanese tempura batter which is usually airier. Iberico acorn fed pork tenderloin 150g (£33) was another classy dish. The pork was wonderful and resplendent with flavour. 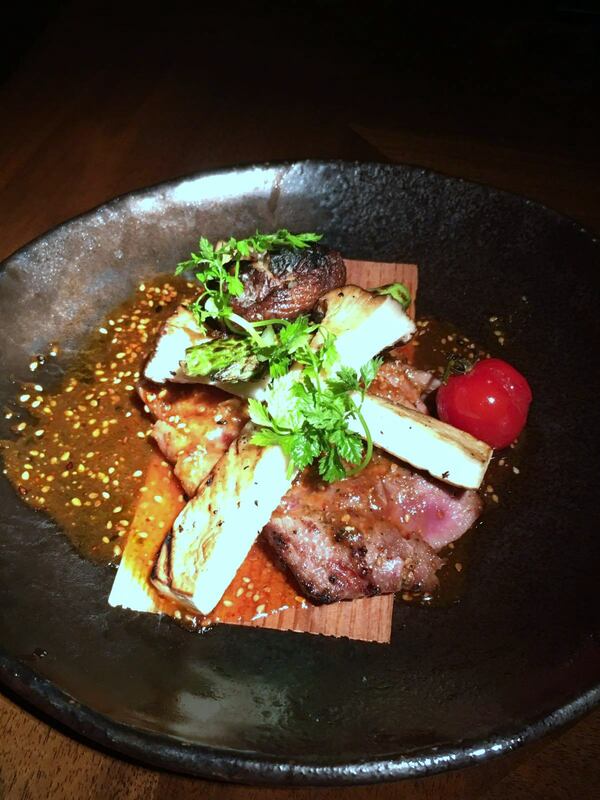 And having been prepared by expert hands, the meat remained moist and succulent, with the robata providing a nice caramelised flavour to the meat. 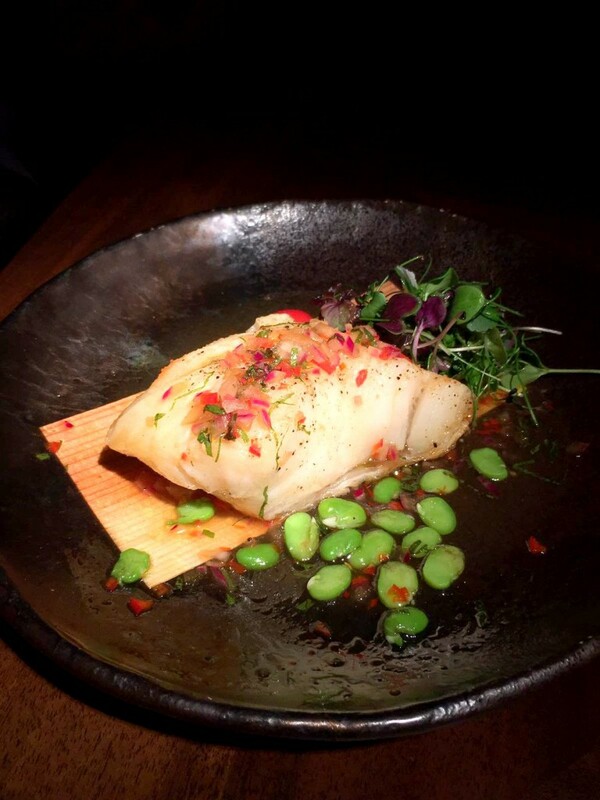 Chilean sea bass shiso salsa 180g (£39) came recommended by the restaurant, and this was a well -deserved recommendation. The fish itself was divine and flaked beautifully. The shiso salsa had been well-judged and offered both aroma and a lovely citrusy touch to the fish. To desserts, and a lemon parfait with caramel beer sauce, lemon curd, Mirabelle compote on a crunchy shortbread biscuit (£12) was decidedly tangy and refreshing. This dessert showed off great skill and was very enjoyable. But our favourite of the two desserts that we had was the banana ice cream with caramel miso sauce, oreo crumble and passion foam (£12). I am not a big fan of banana ice cream, but here, the combination with the caramel miso worked brilliantly, offering up a glorious balance between the flavour of the banana, caramel and the miso. The texture was also creamy and smooth, and to that, the delicious oreo crumble added a great contrasting texture. What a gorgeous dessert. It was hard to believe that a restaurant, which I thought to be excellent already, could get even better. Koji seems to have attained a higher level of finesse in the execution of the food that was a joy to see. And as per my previous visit, the service was professional and charming as ever. Prices can be high, but Koji is worth every penny. Koji run a DJ evening once a month – check out their website for the dates. 1) We enjoyed everything, but the absolute must-haves are the salmon tartare with caviar umami jelly, the rabbit yakitori, the sea bass and the banana ice cream. 1) Couldn’t really think of one. Prices: About £30 to £70 a head, excluding drinks and service.